Looking to work in commercials? 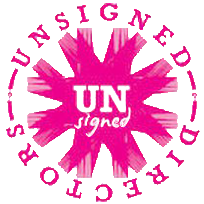 Are you an unsigned director looking to work in commercials? Why not submit your work for consideration in the Unsigned Directors showcase, to be shown at the Cíclope International Advertising Craft Festival? Qualifying directors are those that are not signed to a production company for commercials or music videos. All submitted work will be reviewed; only those considered for the showcase will be contacted. Deadline for submissions is Fri. Oct. 29. Cíclope International Advertising Craft Festival was created with the intention of filling a void in the industry, by creating a long overdue space of reference and recognition for those who provide artistic talent to the production of advertising films. Unlike the advertising festivals where the ideas of agencies are rewarded, Cíclope, International Advertising Craft Festival will emphasize production aspects such as Art Direction, Visual Effects, and Music, among other categories. Those involved in Production, Post-Production, Music, Animation and independent professionals are welcome to participate. Ciclope, International Advertising Craft Festival will be held December 2nd and 3rd, 2010 on board the Madero Mystic yacht in the exclusive Puerto Madero District of the City of Buenos Aires.